Don’t try to be all things to all people. Find your vein of gold. Find what you do well as an actor and do that to your very best ability. There’s the right actor for every role. But you are not the right actor for every role. I had the pleasure of interviewing Craig Ahrens, CEO of CRA Entertainment. 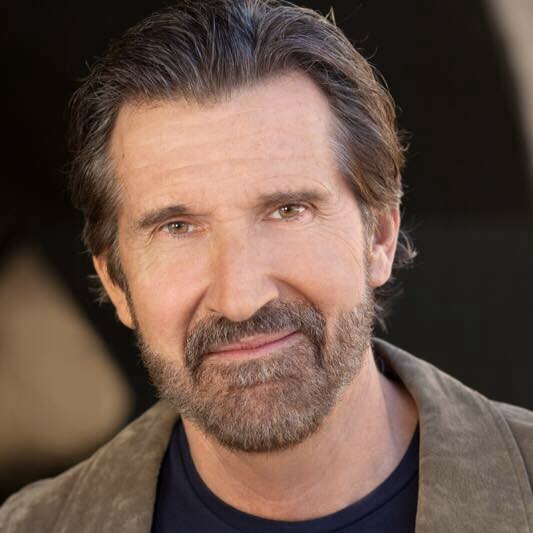 Craig is an Award Winning Filmmaker & SAG-AFTRA Actor. As a filmmaker, CRA is set to release their horror film, “The Evil Down the Street” and are in pre-production with “The Crumbs”. The Crumbs begins shooting in April in Placerville, CA. For me, going into “Show Business” was a total fluke. It was never a goal nor a life long fantasy. A very dear friend of mine, the actor Lewis Smith, invited me to his Actors Academy. Now mind you, I was going there to simply watch actors do their thing so to speak. But the next day Lewis called me and asked me to give it 90 days. As I preached to my kids growing up, always be receptive to opportunities. But boy did this put that philosophy to the test! The overall, fundamental ability in becoming a feature filmmaker. I recall sometime ago having the desire to make feature films. And thinking to myself, “how am I going to do all this”. But over time, tremendously talented people started surfacing when the timing was right. Beginning with my partner, David Espinosa. I am very blessed to be able to associate with all of the talented people I have met. There is tremendous personal satisfaction in looking at what we have all achieve together. Without a doubt, it would my first audition. Now bear in mind, I thought all auditions were for feature films. I had no idea such a thing as student films existed. Anyhow, I went in for my audition for a three minute student film. And I sucked. I mean I sucked at a very high-level. I thought I was off book, and the story goes downhill from there fast. I told the two young ladies, “the only good news right now as I see it, there’s no camera in the room taping this hot mess”. I learned during my 25 years as a mortgage banker. Have a well thought out gameplan, be prepared. Be overly prepared for anything that may happen to come your way. Thankfully, I learned a hell of a lot from that experience and made the necessary adjustments. We are about to wrap up post-production on a film we shot last year, The Evil Down the Street. I feel so blessed that we’ve had a good amount of distributors that are interested in our project based upon our trailer. We are also in pre-production for the film, The Crumbs, which begin shooting in April in Placerville California. Who are some of the most interesting people you have interacted with? What was that like? Do you have any stories. Without a doubt, the late James Garner. I was sitting having lunch once on a shoot when he walked up to me and he asked if he could sit and join me. I said absolutely of course, right. We went on to have the most enjoyable conversation for the next 45 minutes. We discussed everything under the sun, but not acting. When he was needed back on set, he politely excused himself and thanked me for a great conversation. What always stood out to me was what a gracious, humble true gentleman he was in every since of the word. Do not take “no” personally, nor take no to mean no. No simply means, “not right now”. Or you haven’t done enough in which to get a “yes”. I came into this business later in life. So the idea of rejection for me is nothing but a thing. But I know for younger people this can cause them consternation, self-doubt, anxiety, etc. The beautiful part about this business… “there never has been, and there never will be, an actor just like you”. Each actor is their own individual snowflake. And just because your business card says you’re an “actor”. That doesn’t mean you’re any good. It takes hard, consistent work in order to become a talented professional actor. Anything worthwhile requires effort! There is no fast track for greatness if it’s going to stand the test of time. For people to genuinely, and honestly, treat each other they why they would like to be treated. No one person is better than the next. Treat all those you come in contact with, with respect. And shame on those who think they are! 1.Without a doubt auditioning. There’s acting, and there’s auditioning. I think to be good in auditions is a true art by and of itself! There is nothing more ungodly on this planet than being in a 8 x 8 room with people staring at you that you need impressed. The audition begins from the moment you walk into the room, to when you walk out. It’s about how you carry yourself. 2. That this is a marathon, not a sprint. It takes a lot, a lot of practice, a lot of hard work in which to become a good skilled actor. It’s not an overnight process by any stretch of the imagination. Be willing to put the time in. While others are out goofing off… be that actor who’s busy studying, learning. 3. Acting is the easy part. It’s the hanging in that is the tough part. Understand this is a process. This is your career so be patient with yourself. 4. Don’t try to be all things to all people. Find your vein of gold. Find what you do well as an actor and do that to your very best ability. There’s the right actor for every role. But you are not the right actor for every role. 5. Your opportunity will come, always believe in yourself, keep working hard, and look forward to the day where one phone call can turn everything around. Without a doubt Lewis Smith. If he had not invited me into this business, to his Actors Academy, none of this would’ve been possible. I would’ve simply missed all of this! He spent a tremendous amount of time developing me as an actor during the early days. I am living proof to anybody in this business… If I made it, there is most certainly hope for all mankind to make it! Hard work, plus determination, plus attitude can achieve terrific results. This is the easiest question of them all, lol. Magic Johnson! I have been a fan of this man for as long as I can remember! I have always respected how he carries himself. Both on and off the court! A true class act. A person who’s always in complete control.